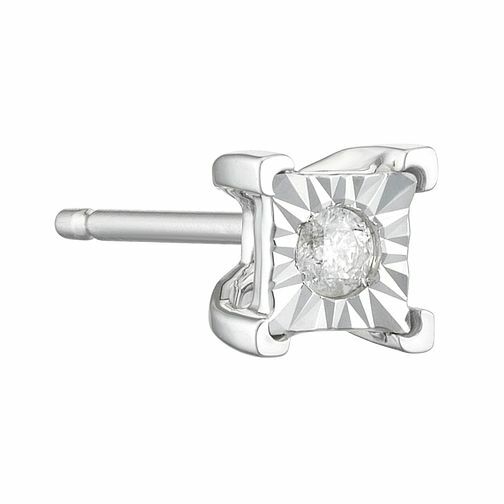 Add further definition to your look with this stylish Men's single stud earring, featuring a diamond in an illusion setting for added flair. 9ct White Gold Men's Square Diamond Stud Earring is rated 1.0 out of 5 by 1. Rated 1 out of 5 by Anonymous from Had a month diamond missing! Have had this item one month and now i have just discovered the diamond is missing. in my opinion this isnt a cheap item and i feel it shouldnt have done this! I am now trying to contact customer services but they are closed on a sunday! I will update in due course regarding the out come.